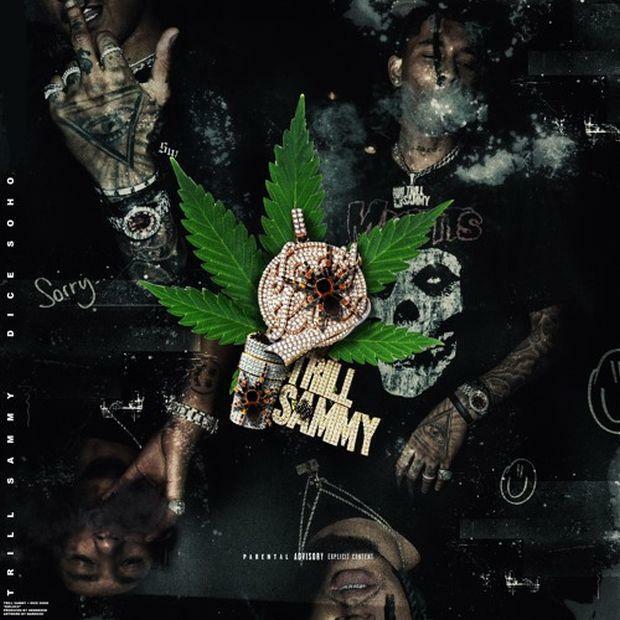 Trill Sammy & Dice Soho Link Up On "Bankrolls"
Home>New Songs>Trill Sammy Songs> Trill Sammy & Dice Soho Link Up On "Bankrolls"
Trill Sammy link up with Dice SoHo for a trippy new banger. Trill Sammy's been buzzing for a minute. The rapper's been putting in work which gained him a solid regional buzz but he's been expanding his fan base throughout America. Back in 2018, the rapper released his project, No Sleep Vol. 1 which included guest appearances from Youngboy Never Broke Again, Slim Jxmmi, and more. Since then, he's released a few singles and today, he returns with a brand new banger alongside Dice SoHo. Trill Sammy teams up with Dice SoHo for his latest banger, "BankRoll$." The two rappers link up over a trippy trap beat while drilling the word "Bankroll" into the listerns head with the hook's repetition. The new single comes shortly after Trill Sammy teamed up with Dro Fe for "Wanted A Lot" last week. Keep your eyes peeled for more new music from Trill Sammy. Yung Bans Calls For YNW Melly's Freedom On "Side By Side"
SONGS Trill Sammy & Dice Soho Link Up On "Bankrolls"